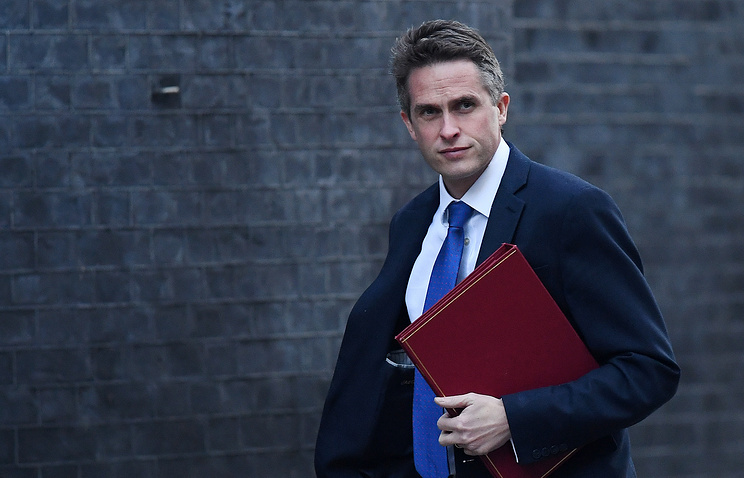 Moscow is shrugging off remarks by British Defense Secretary Gavin Williamson calling for the need to "deter" Russia from what he called "hostile acts". Chairman of the Committee on Defense Vladimir Shamanov told Izvestia, Williamson’s comments were nothing more than a gimmick to get more funds from the UK’s coffers. Meanwhile, First Deputy Chair of the Federation Council’s Committee on Foreign Affairs Vladimir Dzhabarov emphasized that the British defense chief’s speech sought to divert attention from the Brexit fiasco. According to the senator, the UK government wants to strengthen its shaky position, by employing bombastic foreign policy statements. 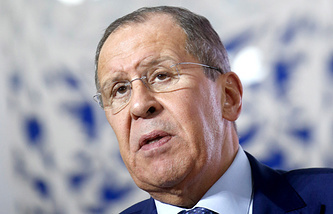 Russia responded with skepticism towards Williamson’s remarks that NATO members need to firmly respond to Moscow’s alleged non-compliance with the INF, Izvestia wrote. Shamanov told the newspaper, Moscow would not respond to the British top official’s insinuations. "We should treat it calmly. Such remarks indicate a well-known behavioral pattern. Statements about an external threat from Russia are heard when funding is needed," he told Izvestia. Dzhabarov, in turn, noted the contradiction between upholding the norms of international law and the right to unilateral intervention in the affairs of other states. "The talk about protecting values is a cheap copy of US rhetoric. London has no right to intervention. Britain meddles only when it knows that it can count on the support of its overseas ally," he told Izvestia. "By making such statements, London either thinks that it can act by hiding behind Washington’s back, or simply does not match its ambitions with its capabilities," he added. The senator added that the statements about a "Russian threat" are made in order to divert attention from the Brexit fallout. The current president of Ukraine Pyotr Poroshenko has no chance of honestly winning the upcoming election, since his genuine rating hovers at 5-6%, but he might ‘add on’ an extra 15-20% to his result, former Prime Minister of Ukraine Nikolay Azarov said in an interview with Izvestia. "He has no chances of honestly winning. Of course, he pays for most of the polls. However, even they cannot help him. If you take Poroshenko’s real rating, you get 5-6%, which is shaped thanks to his administrative resources. Ordinary people greatly mistrust him or even hate him. After all, Ukrainians face skyrocketing prices, soaring bills and general disorder throughout the country every day," he said. According to him, the election will be rigged. "Poroshenko is now ready to add another 15-20% to his result. And the main question is: can his rivals ensure at least a little control or will he be given a full 30-40%?" Azarov mused. He believes that the presence of international observers will not save the elections from fraud, since they will not be able to control all polling stations. Speaking about the high ratings of Poroshenko’s presidential challenger, comedian Vladimir Zelensky, Azarov noted that voter reaction is understandable. "They want new faces," he stressed. According to him, the main struggle in the election will unfold between Poroshenko, who has administrative resources and structures that control 30,000 polling stations, the leader of Batkivshchyna Yulia Tymoshenko, and Zelensky. The Russian Ministry of Communications and Mass Media has suggested awarding telecom providers Rostelecom and Tele2 a project to create a cellular network for the needs of the Ministry of Internal Affairs, the National Guard, and the Emergencies Ministry, with a total cost of around 73 bln rubles ($1.1 bln), Kommersant wrote. The ministry is actually working on the project with a consortium of Rostelecom, Tele2 and the Russian Television and Radio Broadcasting Network (RTRS), Deputy Communications Minister Oleg Ivanov told the newspaper. The ministry supported the proposal of singling out a sole provider of wireless broadband access services for "socially significant facilities". A proposal was put forward to test services in 2019 in the Tver, Pskov and Novgorod Regions using Russian equipment. The motion will be reviewed on February 13 by the presidium of the government commission on digital development and IT, Ivanov noted. According to Kommersant, in this case the socially significant objects would be educational organizations, state and local government bodies, regional and territorial election commissions, and divisions of the National Guard, which include riot police. 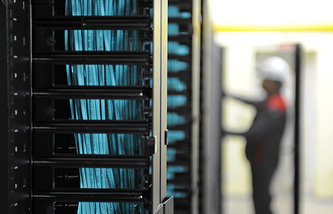 In total, it is planned to connect more than 100,000 of such facilities and services to the network before December 25, 2021. The structure of mutual trade between Russia and China over the past 20 years has changed beyond recognition. The share of Russian supplies of machinery and equipment to China has dwindled to a tenth of what it was, and its place was taken by the most primitive commodities, Nezavisimaya Gazeta wrote. At the same time, China has turned into a supplier of complex high value-added products. Its exports are dominated by machinery and equipment. According to experts interviewed by the newspaper, in the next 20 years, the structure of Russian exports to China will become even more raw and primitive. Experts link the established division in the trade structure of the two countries with the development features of the states. "For the past 20 years, the development of the Chinese economy has accelerated. Due to the fact that all sectors were evolving, today the country produces a wide range of high value-added products that are in demand abroad," Deputy Director of Alpari analytical center Anna Kokoreva told the newspaper. In Russia, over the last 20 years, only the oil and gas sector has been actively developing, and so exports are mainly composed of energy, she added. "China is a country with economic development dictated by the lack of potential for developing commodity exports, which creates the prerequisites for the development of the manufacturing sector," Director of Veta expert group Dmitry Zharsky told Nezavisimaya Gazeta. Investment in technology and intellectual capital have molded the Chinese economy into its current state, and this is what Russia is lacking, he added. "In order to diversify exports to China in the future, it is necessary to start producing something that China would be interested in besides oil and timber," Zharsky added. To do this, it is necessary to invest money in the development of the manufacturing industry. Kommersant has learned about the price of ships that the Zvezda Super-Shipyard is supposed to build for the Arctic LNG-2 Novatek project. The Arc7 gas carrier’s price tag is estimated at $383 mln. However, this price is only operational when the shipyard is fully loaded with other orders, otherwise the lead ship will cost the customer $698.2 mln which is twice as expensive as in South Korea. The budget is going to compensate Zvezda for 30% of the cost of a gas carrier at Asian shipyards ($315-330 mln). In this case, the grant for a series of 15 vessels could exceed 60 bln rubles ($912.4 mln). According to Kommersant, the contract for the head vessel should be signed by the end of March. The Ministry of Industry and Trade told Kommersant that the consortium had previously sent incorrect information about the cost of large-capacity vessels planned for construction, which was subsequently canceled.